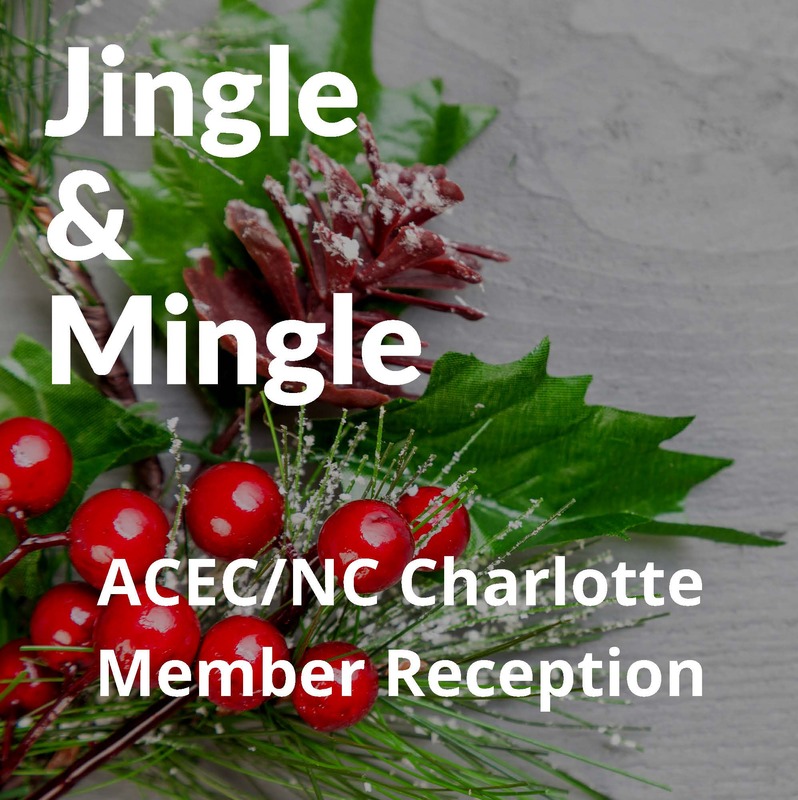 Please join ACEC/NC for a Holiday Reception on December 4th. This is our way of saying "Thank You" for another great year of support from members like YOU! This will be a time to network with other Charlotte-area members, and our ACEC/NC Board of Directors and staff. We will also have some AMAZING raffle items that you won't want to miss! This event is for Charlotte-area members and a guest. There is no charge to attend. Please RSVP by November 23rd so we have an accurate headcount.